Stop Allergies Before They Strike With Best-In-Class HEPA Certified Protection!Stop Allergies With HEPA Certified Protection!Stop Allergies With HEPA Protection! 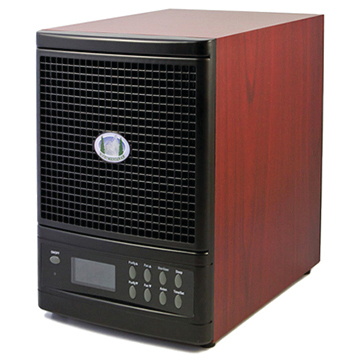 The Summit air purifier by Rocky Mountain Air® features HEPA filtration technology that removes more than 99.97% of all airborne particulates. Even contaminants as small as 0.03 nanometers in size get filtered away with each purification cycle. But if that wasn't enough, we took the Summit even further by combining a HEPA filter with six (6) other filtration stages to remove over 99.99% of impurities from the air in your home. As a result, our HEPA Certified air purifiers are amazingly effective at eliminating dust, mold, pollen, pet dander, and other allergens that commonly pollute the air you breathe every day. If you are looking for an air cleaner that can bring allergy relief to your home, than look no further than the Summit. Each unit is perfect for providing fresh and clean air to, an impressive 3,500 square feet of your home. So even owners of large homes can be sure that our HEPA certified purification systems will leave each room in their home Rocky Mountain pure. Seven Stages Of Purification: Hospital-Grade HEPA FilterAirborne microorganisms, such as allergens, are a primary cause of concern for many homes. To provide protection and relief against such pollutants, Rocky Mountain Air® made sure that each of our air purification systems come equipped with a HEPA Certified filter. The same technology that is used throughout the medical industry is being utilized to remove mold, bacteria, pet dander, pollen, and other contaminates from the homes of our customers! No other filtration method is more suited to eliminating household allergens than HEPA certified air purification.